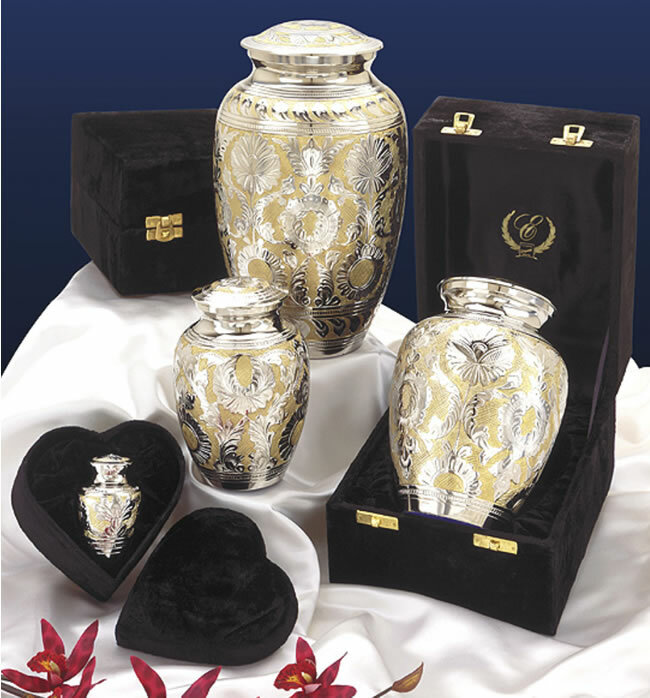 The Medium Size Classic SilverGold Cremation Urn is a solid brass urn with a hand-etched design over the whole urn and lid. 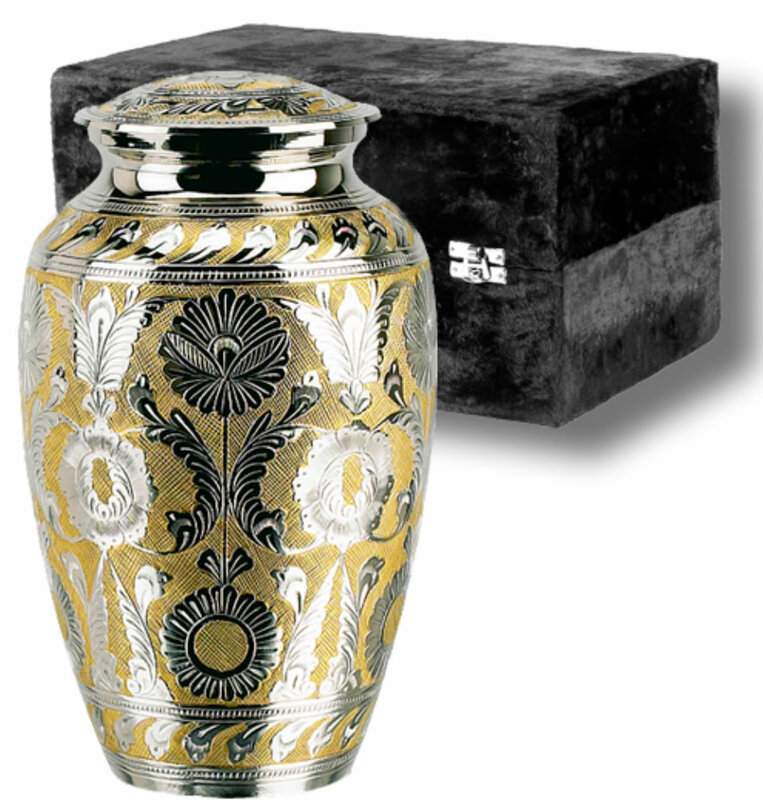 The urn has a felt base to help prevent scratching furniture and comes in a velvet box. It is top-loading with a threaded lid. The medium size urns are the perfect size for young children with healthy weights less than 70 pounds and those beloved four-legged members of the family with healthy weights less than 60 pounds. This is also a great size for families who are sharing the cremains of a loved one. As with any urn, it is very important to keep the cremains in a sealed plastic bag inside the urn. This plastic bag can take up as much as 20 cubic inches. Other sizes are available. See the Related Products on this page.